After staying in Bakersfield overnight, it was time to head into Vegas. We went back onto State Route 58 and headed east, and soon entered the vast expanse of the Mojave Desert. Naturally the landscape looked a little bleak, and the only thing worth noting was the huge windfarm in the area, so it was pretty boring for a while. Suddenly, I looked out the window and saw what seemed to be a collection of airplanes near a control tower. Was there an airport here in the middle of nowhere? Suddenly I remembered about the famous airplane boneyard in the Mojave Desert, and sure enough, the Mojave Air and Space Port was right here besides Route 58. 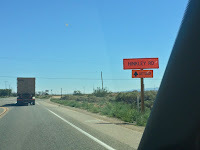 Things didn't look any more interesting for a while, until I passed road signs bearing the name Hinkley. Hinkley, California?! Isn't that the town featured in the movie Erin Brokovich?! 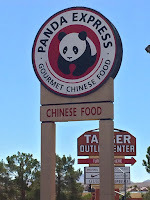 Well, we did end up stopping in Barstow at the Tanger Outlet Barstow for a little shopping. The Visitors Center was full of souvenirs touting the town's history with Route 66. But these days this outlet mall was full of Asian tourists coming in by the busloads... When the Nike outlet has signs like these... you know how much Mainland Chinese traffic they're getting! And this outlet mall is full of brands that the Mainland Chinese love - Bally, Coach, Michael Kors...etc. ...and found more Asian tourists at In-N-Out Burger. There was a huge line inside, so the parental units parked themselves at a table while I stood in line to place our order. I got myself a Double Double combo with some fries. The burger was mmm mmm good, but I wasn't so happy with the fries. A little too dry and puffy, and surprisingly bland. 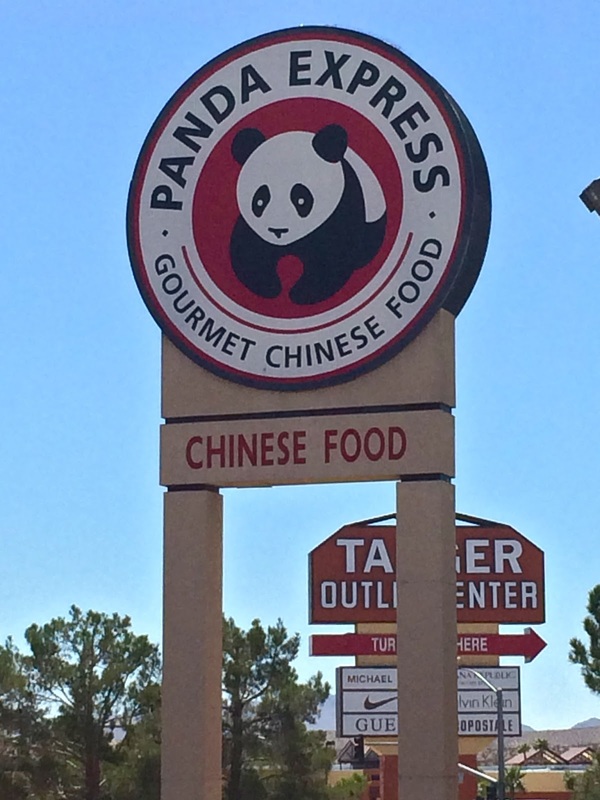 With our bellies full, we went into the home stretch and got to the godparents' place in North Las Vegas. We unloaded the minivan, settled in, and rested a little. 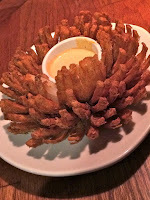 Dinner ended up being a casual affair at the nearby Outback Steakhouse. I ordered a bloomin' onion for everyone to share, which is always good. I finished with a half rack of baby back ribs, which were pretty tasty, too.